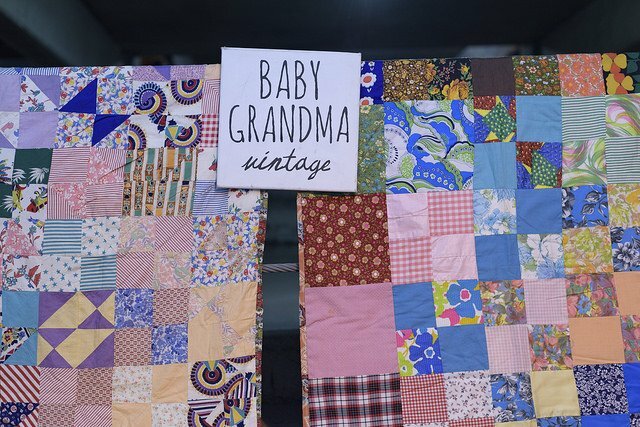 Michelle of Baby Grandma brings IT to the Chicago Vintage Clothing & Jewelry show! 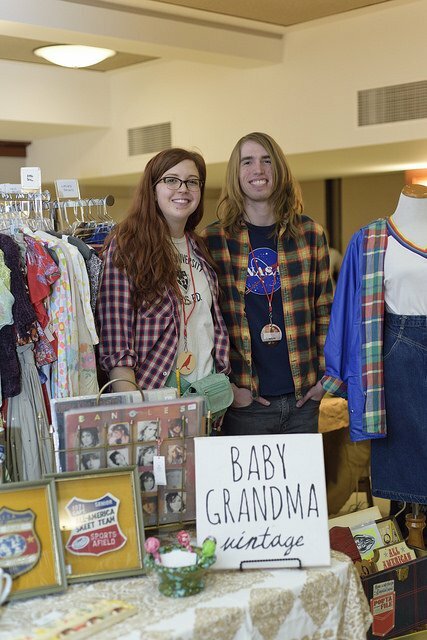 BG is always a big hit at Vintage Garage Chicago during the summer and she's been saving all her best vintage apparel just for us! 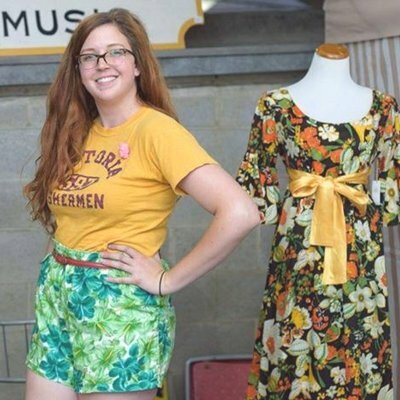 Find out what this Chicago vintage seller is all about! How'd you move into vintage apparel & fashion? : I've been buying vintage since middle school, but as a tall person I'd find so many gorgeous pieces that just didn't fit me right. I couldn't bear to leave them forgotten on the thrift store racks, so I decided to start selling! Are you a collector? : My closet consists almost entirely of vintage clothing, yes, but in a huge variety of eras and styles. What do you collect? : I have a large collection of vintage graphic tees, and of 1990's Express dresses. I love anything Express made in the 90's! What's a favorite piece you can't sell? : My "Spuds does Chicago" Bud Light shirt from the 80's. My dad gave it to my mom (she doesn't even drink beer) and she promptly gave it to me as a night shirt. It's been a favorite since I was a toddler. What's your favorite thing to sell? : I love selling items I know the story behind. I once had a gorgeous sparkly jacket that belonged to a woman who was a flight attendant. She had the jacket custom made in the 70's when she was on a layover in Japan. She told me all these great stories about her adventures abroad and when I sold the piece I was able to pass those stories on to the customer. What sells fastest? : Cool coats and jackets! Outerwear seems to really speak to people. Are you bringing anything extra special to the show? : I will be bringing some very special dresses from the 40's and 50's that belonged to my grandmother and aunts.